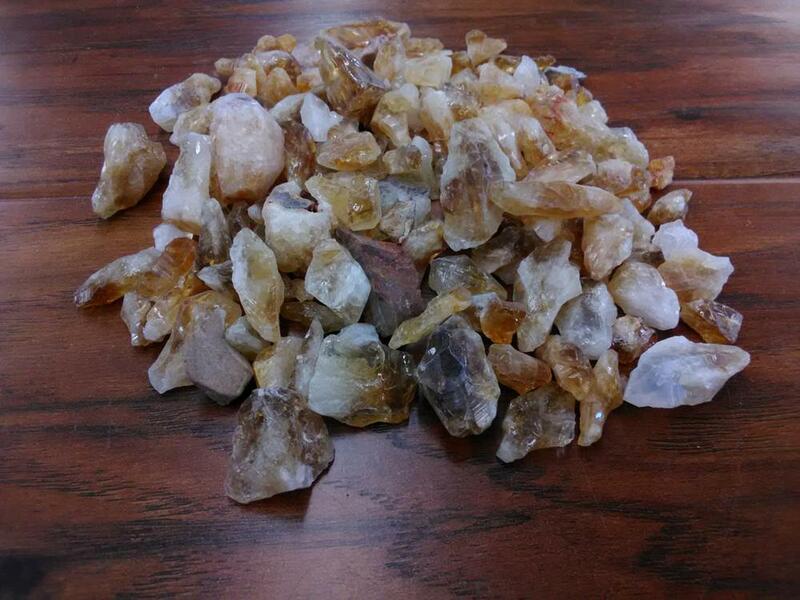 Citrine is a variety of quartz ranging in colors of yellow, yellow-brown, orange, dark orange-brown, reddish-brown. Citrine crystals can form together with amethyst or smoky quartz to form a bi-colored quartz called ametrine. Most citrine comes from Brazil. Citrine is believed to help the heart, kidney, digestive tract, liver and muscles. It promotes creativity, helps personal clarity and eliminates self-destructive tendencies. Size Range: 1/4" - 2"